◆IIA, IIB, IIC explosive gas environment. ◆ Widely used in dangerous places such as petroleum, chemical, offshore platforms, military, docks. In the line of AC 50HZ, 220/380V, DC voltage to 220V, the starting and stopping of multiple motors are controlled centrally at a long distance. 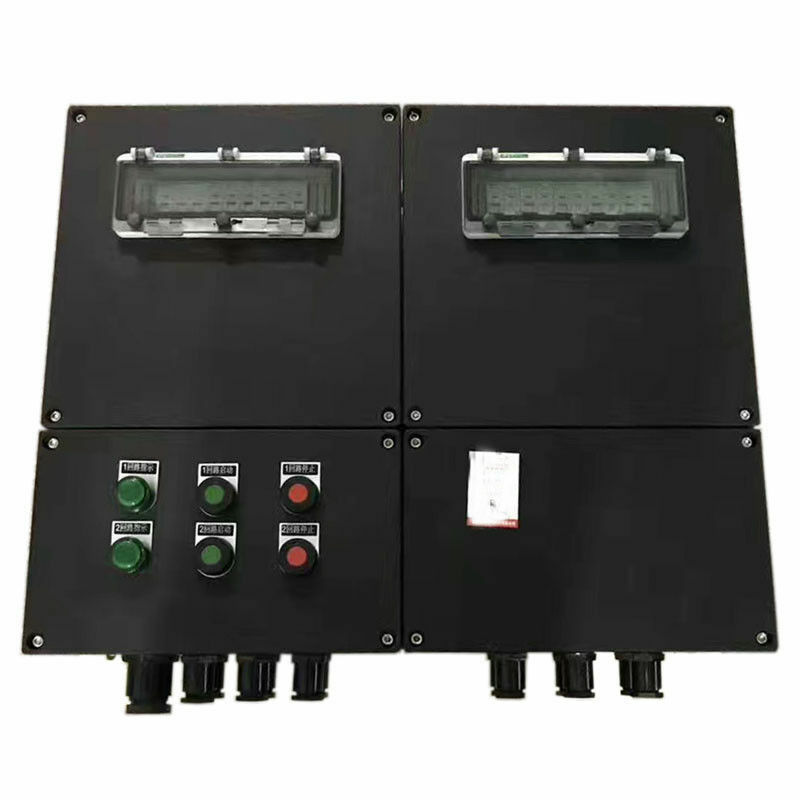 ◆BXK8050 explosion-proof control box is suitable for AC 50Hz, 220/380V, DC voltage to 220V line, centralized control of starting and stopping of multiple motors at a long distance. ◆The control box consists of an increased safety type housing, flameproof components (indicators, ammeters, buttons, switches) and terminal blocks. ◆The outer casing is molded by glass fiber reinforced unsaturated polyester resin or formed by high-quality SS304 stainless steel plate. It has excellent performances such as beautiful shell corrosion resistance, antistatic and impact resistance and good thermal stability. ◆The built-in components are directly stuck on the standard rail. The protrusions on the components and the grooves on the guide rails ensure that the built-in components are installed at a certain position. The distance between the components and the components is 42mm. ◆ Can be steel pipe or cable wiring. ◆The product has a variety of changes, which can be made according to the electrical schematic provided by the user.